Diving is unlike any other water sport. It allows you to be a part of the underwater world and to experience the largest ecosystem on Earth as if you were its inhabitant. Add a sense of adventure to your life and challenge yourself to experience beautiful and serene underwater landscapes few people have seen. Recreational Diver 1 is the first course to take you beneath the surface while developing your independence as a new diver. From shallow reefs to historic wrecks, you get to decide where you want to play. Whether you are new to the diving world, you've taken a course outside of GUE before, or you’re looking to improve your skills after a few years of not diving, the GUE Recreational Diver 1 course is a great starting point. This course will build the foundations for your diving skills no matter what attracted you to diving. The GUE Recreational Diver 1 course is designed to develop the essential skills required for all sound diving practice. It allows the non-diver to cultivate a platform that supports comfort, confidence, and competence in the water, as well as more advanced training in the future. A GUE Recreational pass means that divers will be certified to dive with their diving team without the supervision of a dive professional to a maximum depth of 70 ft/21 m.
Be a minimum of 14 years of age. 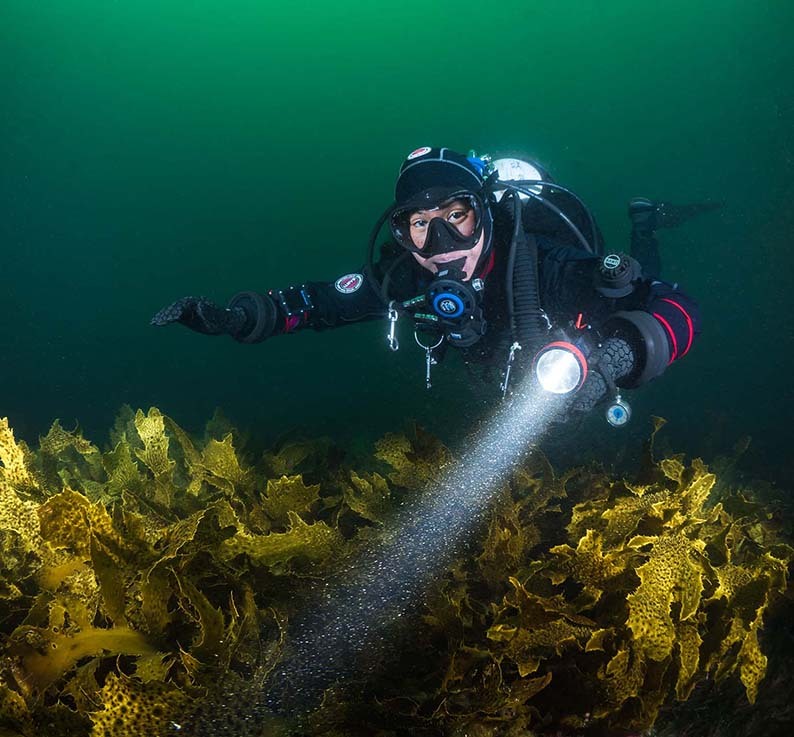 The Recreational Diver 1 course is usually conducted over five to six days and includes at least ten aquatic sessions (confined water sessions) and six open water dives and at least 40 hours of instruction, encompassing classroom, land drills, and in-water work.